Egads! I actually have a speaking schedule! My experience hiking near or one the Mexico and US borders over the years. Come on down to Montbell Boulder Store and explore southern Utah together! southern Utah from the Nevada to the Colorado borders. In his journey of over 600 miles, Paul explored canyons, backpacked through four national parks, scrambled up cliffs, rafted across the Colorado River, and hiked along mountains to make his way across Utah on a journey through some of the most remote terrain in the continental United States. Unlike more well-known routes such as the Appalachian Trail or the Colorado Trail, this route is undefined. Paul will be sharing his journey through photos and stories from along the way. Thru-Hiking 101 – Neptune Mountaineering – Boulder, CO May 10th, 7 PM. Doors open at 6PM. 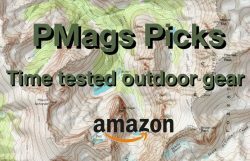 Ready to hike the Collegiate Loop (165 mi), Colorado Trail (500 mi), or the Continental Divide Trail (3,000 mi)? Don’t go until you glean some wisdom from Paul! A thru-hike of a long trail is an adventure that many backpackers dream of attempting. A chance to be immersed in the wilds for several days, weeks, or even months at a time. But where to start? What resources are available? 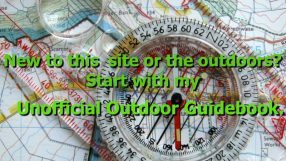 How do you plan for a thru-hike? And what kind of gear and equipment are needed to walk the walk? 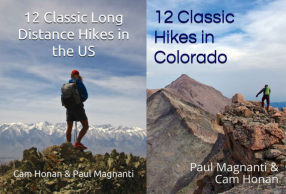 Paul Mags will be presenting a presentation on how to thru-hike a long trail or route. Through photos, stories, looking at various types of gear, and discussing what resources are available, Paul will help an interested backpacker prepare for their extended backpacking journey. Specific examples of discussed thru-hikes will include the 165-mile long Collegiate Loop, the 500-mile long Colorado Trail, and the 3000-mile long Continental Divide Trail. I am very honored to give another presentation on my Utah walk. This time at one of the premier museums on Ancient Puebloan culture in the West. If you get a chance, check out this museum. An excellent way to wrap up any time spent on the Colorado Plateau. If I am giving more talks in the upcoming weeks or months, I’ll add them here. If I am in the area, and if you are interested in me giving a presentation for your group or organization, give me a shout. Maybe I can work it in! The Utah walk seems to have generated a lot of interest. Hello! I am so interested in PMags talk on May 10 in Boulder, HOWEVER, are you aware that May 10 is CU graduation day?? There will literally be tens of thousands more people in Boulder that day and evening. Traffic is already a nightmare in Boulder, and anyone wanting to come up from Denver would be hard pressed to voluntarily enter that melee. Can this be rescheduled a few days earlier or later? I did not have a say in the scheduling. Sorry. Perhaps there will be a future talk.